Teacher, teacher leader, and administrator preparation and support. Chair of Education Program at Brandeis. Teacher leadership. Education policy. Marya R. Levenson, '64, began her educational career in 1971 as a ninth-grade history teacher at the William Barton Rogers Junior High in the Boston Public Schools. She was part of the team that created Madison Park High School, a magnet school, during Boston's desegregation era. Active in the Boston Teachers Union, she served on the BTU executive committee. In 1979-1980, Levenson initiated the first BPS Middle School Task Force. Levenson earned her EdD in administration and social policy from the Harvard Graduate School of Education (HGSE) where she became the assistant director of The Principals' Center. She was principal of Newton North (Massachusetts) High School from 1982 to 1990 and superintendent of the North Colonie (New York) School District from 1990-2001. She has served as a member of the Executive Committee of the NY State Council of School Superintendents, co-director of Public Schools for Tomorrow, and a member of the Advisory Editorial Board for the Harvard Education Press. The New York State Council of School Superintendents recognized her service to students and schools in 1999. 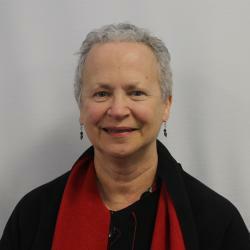 Since 2001, Levenson has been the Professor of the Practice in Education and the Harry S. Levitan Director of Education at Brandeis University, where she received the Louis Dembitz Brandeis Prize for Excellence in Teaching in 2008. She is the author of the book, Pathways to Teacher Leadership: Emerging Models, Changing Roles. Levenson worked with others to create the Brandeis Education Studies major and Teacher Leadership programs. Levenson, Marya. ""Teaching Future Teachers"." Loomis Chaffee Spring 2015 Magazine (2016): 30-32. Levenson, Marya. Pathways to Teacher Leadership: Emerging Model, Changing Roles. Boston: The Harvard Education Press, 2014. Levenson, Marya, ed. National Advisory Editorial Board. 2008. Levenson, Marya. "A Standards Base and the New Three R's." The School Administrator September, 2007. Levenson, Marya, Paul Kelleher. "Can School Culture Change?." (2004). Levenson, Marya. "I Know That We Need Good Administrators but I Wouldn't Want to Be One." Capital Area School Development Association Newsletter (2001). Levenson, Marya. "Why Current Assessments Don't Measure Up." The Harvard Education Letter (2000). Levenson, Marya. Annual Evaluation of the North Colonie School District, Yearly Analysis of Longitudinal Data Relating to Student Outcomes and Other Measures. 2000.